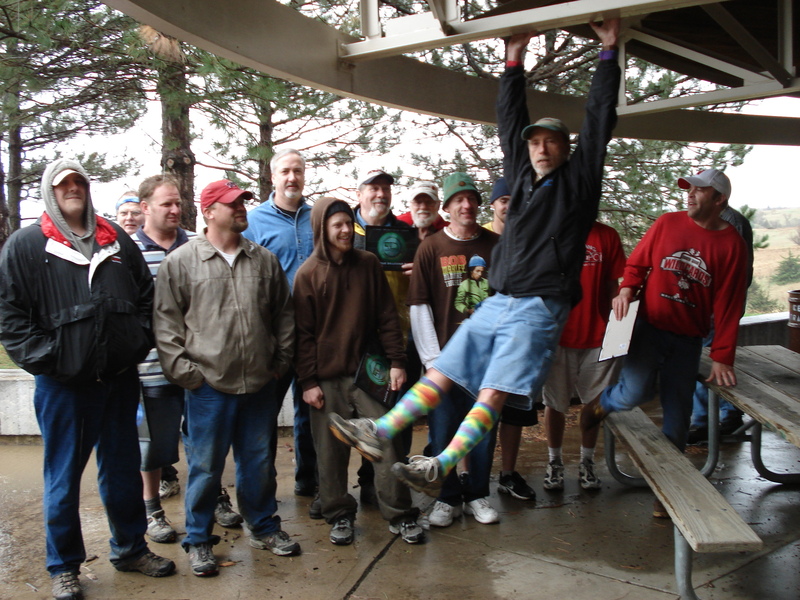 Congratulations to Mr. Bill Hulbert who was inducted to the Nebraska Disc Golf Hall of Fame on November 2, 2013. 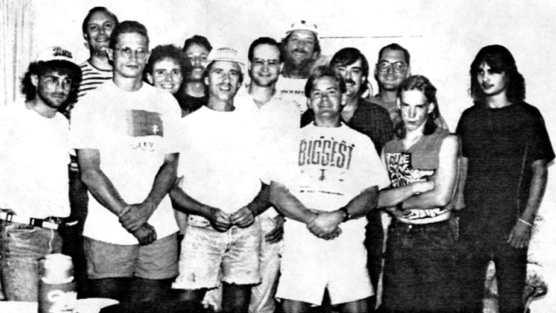 The award was presented at the Plattsmouth Country Club, which was converted to an 18 hole disc golf course for the day using portable disc golf baskets. 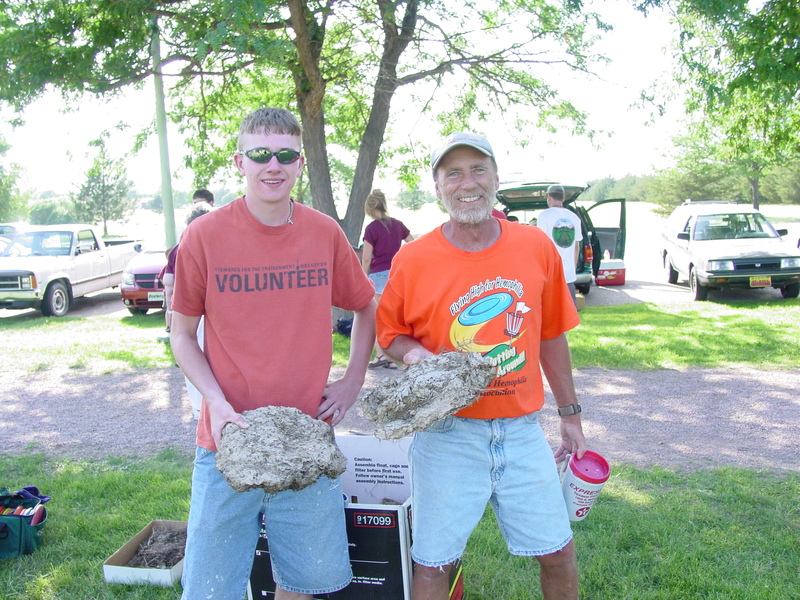 Mr. Bill is known for helping to make new players welcome to the disc golf scene. In addition he has given a tremendous amount of time and effort working on the courses, organizing tournaments and helping others to host tournaments. 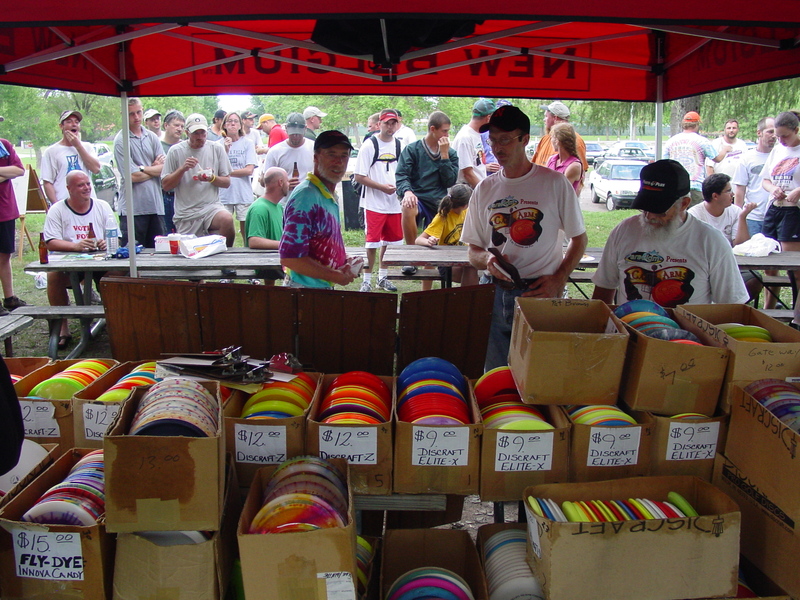 Mr Bill, wearing tye dye, prepares items under the New Belgium tent at Seymour Smith Park in Omaha during A Call To Arms in 2005. Mr. Bill swings into the photo op in Blair, April 2007. Mr Bill, right, is a Box Butte County masters division winner of the Cow Chip Toss Distance Contest.